Foam roller exercises for the pectoral muscles can help you with tight chest muscles. The chest is the guardian of your heart. Chest opening can open your heart and bring you healing of the body-mind-soul! This article focuses on the the pectoral muscles. More accurately, this article is about chest opening stretches than actual foam rolling movements. The chest is the seat of the heart, and symbolically carries great significance in our lives. I will discuss the body metaphors for the chest as you read on. Hopefully you have first read Foam Rolling for an overview of rolling your body on a foam roller. A simple technique for self myofascial release is accomplished by foam roller exercises. Self myofascial release is an important concept to learn to keep your muscles free of tension and stress. If you read Foam Rolling, I go into more detail as to why this physical activity creates more self-love to help you reconnect with your body for total healing of your body, mind and soul. Foam roller exercises help you stretch, elongate and treat your muscles. Athletes use foam rolling to recover from injuries and to keep their muscles healthy. Plus self myofascial release is available to you anytime, anywhere! All you need is the simple foam roller to treat yourself. 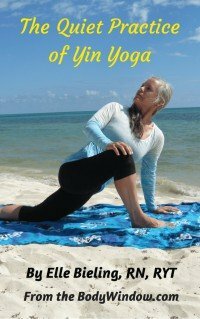 When you learn to make your foam roller exercises meditative and intuitive, just like in your yoga practice, the body-mind connection is triggered. Listening to your body's pain through these foam roller exercises is a way to 'feel it and heal it' as I am fond of saying. Emotions affect our body in ways that we don't always understand, as we hold stress and tension in significant muscles and muscle groups. If you haven't yet obtained a foam roller, I strongly urge you to consider its benefits. I recommend you use the most versatile type, the 36 x 6 inch round. The best style is the premium, textured, high density, EVA types. These are almost impossible to find at your local retail stores, so buy one online, for your best selection. The textured layer makes the roller easier to use, by providing more traction and a massage-like feel. The EVA foam is durable and comfortable. Pair this model with a yoga sticky mat, and the best in comfort is available to you. The pectoral muscles are the large muscles of the chest that are most visible. This muscle group is one of the most well-known muscles areas. Most men strive to achieve big, beautiful chest muscles. Men and women alike admire beautifully developed pectoral muscles. The pectoral muscles move the arms in many ways, and are instrumental in the stabilization of the shoulder. Because of the vanity factor of the pectoral muscles, many men overwork this area and have tight chest muscles. They forget the importance of the body balance and forget about chest stretches to rectify this potential problem. Tight chest muscles pull in the shoulders and are a set-up for shoulder injuries. This slumping forward of the shoulders also creates poor posture, a set-up for even more problems in the neck and back. Understanding Your Body and how tight pectoral muscles effect the posture and balance are imperative if you are to have total body health. Women often have modesty issues surrounding the breast/chest, if their culture teaches them to be embarrassed of their shape. Other women are uncomfortable with their flat chests in cultures that worship the female breast and will slump forward to hide their features. They lack self-love. Yet other women who are large-breasted may slump forward as a result of the physical weight of their breasts. People who 'carry the weight of the world on their shoulders' also have body-mind-soul issues and slump forward. If you have the 'humpback' due to stress and the weight of the world, your chest muscles may also tighten and pull you forward. This also pulls the head and neck forward. This is the classic forward neck position I discuss in Understanding Your Body ~ What Your Posture Says about You. All of the body is inter-related and one small problem like tight chest muscles can lead to a cascade of additional problems. No matter how your pectoral muscles become shortened, tight and overly-contracted, it is up to you to do chest opening stretches. This article is intended to help you, so read on. There is no other body part for which we use more symbols and metaphors, than the heart. We have a 'heartache,' suffer from 'broken hearts,' 'eat our hearts out,' have a 'heart of stone,' are 'lion-hearted,' have 'hearts bursting with happiness' and 'know things by heart.' When you have a heartache, you actually feel a physical aching in your chest, don't you? This is your Body Window speaking to you of your true, inner state. If you love yourself too much, you 'puff-up' your chest in vanity. In this case, your heart is closed to true self-love. It is actually love turned inward, a closed love that does not flow out to the Universe. It is love that only moves in an inward direction, towards the self. Or you may not love yourself enough and display a false sense of vanity by puffing up your chest. It is a forced, outwardly moving love, that does not allow one's self to receive Love! If Love is given and received and flows in both directions, the chest is open, the shoulders neutral, not too far forward or back. Your self-love may be insufficient, due to poor self-esteem or poor self-image and you slump forward, in an attempt to protect yourself from more hurt. Because you believe you are unworthy of Love, you close your chest and close yourself to Love. You may have this belief because love brought you pain, you were abused, or you were never given sufficient, caring and nuturing love. You may unconsciously close yourself to love, or 'close your heart' when you cross your arms across your chest. You may be closing yourself to others and their input as you cross your arms across your chest in defiance. The pectoral muscles are often accessory muscles of breathing, so a guarded chest may be closed to deep breathing and the relaxation response that entails. The slumped forward chest and shoulders also put pressure on the diaphragm, further reducing the ability to deep breathe. This is significant because when we close our hearts/chests to love we close them to the very essence of life, the breath. We also close ourselves to God because God is Love. Create your own personal health affirmations as you feel led and as your heart opens to its own particular issues. Journal about your feelings as you do your foam roller exercises and chest stretches. When you learn to do chest opening stretches, you can learn to open your heart as well for both giving AND receiving Love. When you do your foam roller exercises for the pectoral muscles, meditate on opening your heart as well, to all the warmest and most nurturing Love that God/the Universe has to give you. Love is free ~ it is there for the asking. Through Grace we can have Love if we ask for it. Enter the chest opening stretches with a meditative, open and receiving heart. It will bring you healing of your body-mind-soul! All the foam roller exercises I present, you can adjust the amount of time you spend on each area and adjust the pressure. Do both sides equally to stay balanced, but you can place more emphasis on one side or another that needs it more. Pay attention to any sensations you feel in your body when you do the foam roller exercises for the pectoral muscles and the chest stretches. Open you heart to the message your chest area brings. Breathe as you sink into the sore spot. If it is too painful that you cannot breathe, ease up on the stretch or pressure. In order for the muscle to release it must be relaxed. It is only through deep breathing that the body knows to relax. Really feel the pull and the chest stretch as you sink into it. Breathe more deeply as you sink farther into the stretch. Let go. Let the tension go, let the stress go and let the muscle release. When the muscle releases, so may your emotions and your need to guard your heart. Let go of your need to close your heart. Open your heart instead to Love. Let Love flow in as you do the chest opening stretches and open your heart as well. For the first foam roller exercise, a 36-inch foam roller will be the best choice. With the foam roller lengthwise lie down on the foam roller, supporting your entire spine on the foam roller, from your head to your hips. Place your arms out to each side for balance, and keep your legs bent and your feet on the ground. Slowly roll your entire body from side to side, toward each arm. Do not twist your spine, but roll your entire body in one unit, like a log. Your head should move in the opposite direction as your body. Hold the roll to each side and feel the pull in your pectoral muscles. For the second exercise, a smaller 18" roller will be easier to manage. Use any table (not just a massage table as depicted) to roll on. You can even sit down next to your table, if it is easier and more comfortable for you. Place the foam roller at an angle, so that the roller lands just inside your shoulder joint, on the head of your pectoral muscle. Men can roll down the pectoral muscle farther than I have depicted! Women, only make very small movements, avoiding breast tissue. If you wish, just hold the pressure on this spot, without any movements at all. For the third exercise, this is exactly the same as the second, only done on the floor. Do the third exercise if it is more comfortable for you than using a table. This might be easier to manage and you can apply more pressure, more easily using more of your body weight, if you need a deeper stretch. Feel free to vary the exercise in any way, moving left and right, or up and down as your intuition moves you! You can open your chest with this Extended Chest Stretch from a triangle pose base. Make sure you line the heel of your front foot with the middle of your back foot to get the proper base. Keep your chest forward, square and in line with your front foot. Then clasp your hands behind your back. Keep your chest moving toward your front foot as you bend forward. Or if you prefer to sit, this Modified Hero Pose. Sit on your ankles, then clasp your hands behind your back, extending your arms. Slowly lower your forehead (third eye) to the ground. You will really feel the opening in you pectoral muscles! The Yoga Fish Pose can be easily done on your foam roller! Just place a 36" foam roller under your shoulders. The farther toward your waist you place the foam roller, the more opening will occur in your heart, your chest and your pectoral muscles! Breathe deeply and hold for 3-5 minutes. Or for an amazing and complete repose, with a more gentle chest opening, place a yoga bolster (or pillows) under your entire back, like shown. This restorative yoga pose can even be done in bed for a soothing and delicious pectoral muscle stretch. Breathe deeply and stay for as long as you wish. Foam roller exercises and exercise stretches remind us that when we take the time to stretch our bodies we also stretch our hearts and stretch our minds. Through the powerful metaphor of stretching, we create the space needed for positive changes in our lives. May your path to self-discovery be enhanced by these foam roller exercises and chest stretches and may your journey towards body-mind-soul healing through self myofascial release begin! Shoulder Muscles that Focus on Opening the Shoulder. Latissimus Dorsi (Muscles in the Side and Back). Upper Arms ~ Biceps and Triceps. Forearms ~ Brachioradialis, Wrist Flexors and Extensors. Using Your Roller for Developing Intuition.